Graduated from the University of Évora in 2002. 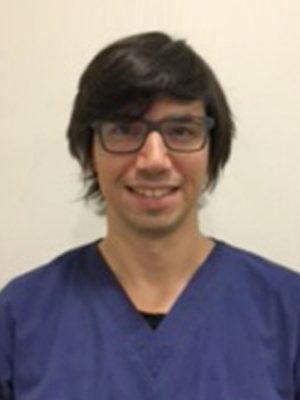 Did his professional internship in Clinical and Small Animal Surgery at the Algarve Veterinary Hospital in Faro and at the Queen Mother Hospital for Animals (Veterinary Royal College) in London. Postgraduate in Veterinary Dermatology by the European School for Advanced Veterinary Studies (ESAVS) in Vienna, Austria. He has worked at the Algarve Veterinary Hospital until mid-2006. Member of the European Society of Veterinary Dermatology (ESVD) and the International Society of Feline Medicine (ISFM). Works in Canham’s Veterinary Clinic, Almancil since 2006. His main areas of interest are dermatology and feline internal medicine.